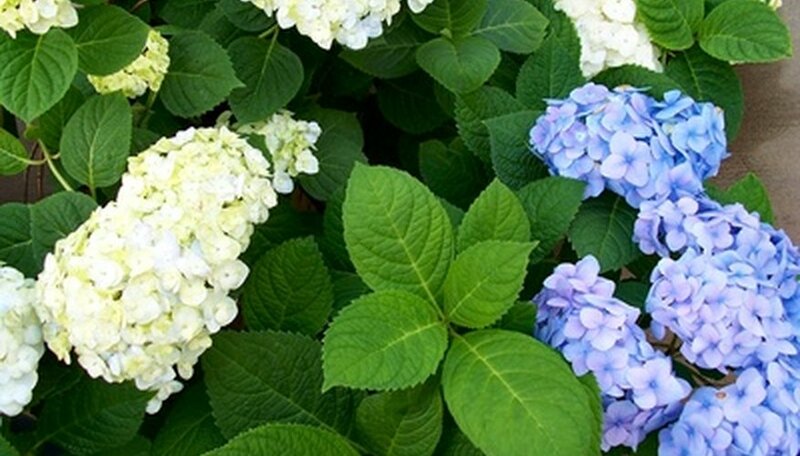 Do Hydrangeas Like Sunshine or Shade? What Percentage of Shade Cloth Should You Use in a Greenhouse? Where to Plant Flower Seeds With Partial Sun & Shade? Can Mums Grow in Shade? How Do I Landscape My North Facing Yard? 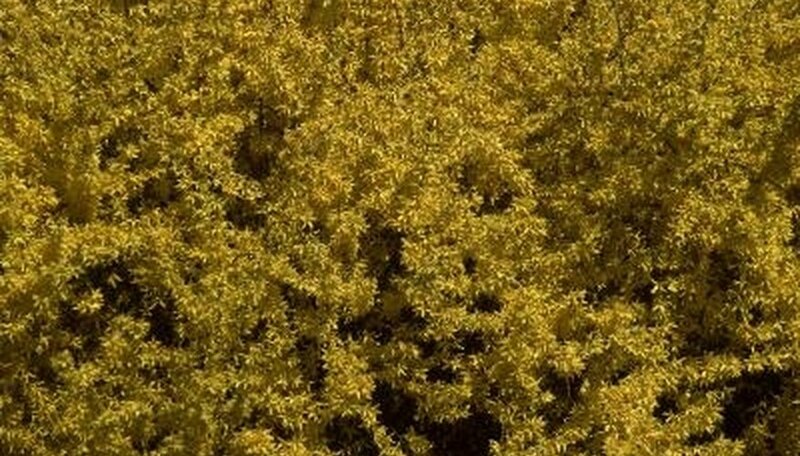 Where to Plant Forsythia: Sun or Shade? Even if you have a yard full of trees, your garden can be more than a hosta-and-ivy bed. Shade gardens can be as full of texture and color as their sunny counterparts; there are hundreds of plants that thrive in the shade. Most garden centers note which plants require full sun (eight or more hours a day), part sun (six or more hours), part shade, dappled shade and full shade. Like any garden, shade gardens start with focal plants, large plants that add color through blooms and texture through foliage. A number of ornamental trees and shrubs thrive in little sun, including dogwood, Japanese maple, hydrangea, azalea and camellia. Ferns, hostas and bleeding heart plants are all large perennials that can be used in shade gardens. A number of annuals, bulbs and perennial flowers also prefer little sun. Annuals include classic bloomers such as begonia, impatiens, fuschia and salvia, as well as foliage favorite coleus and vinca. 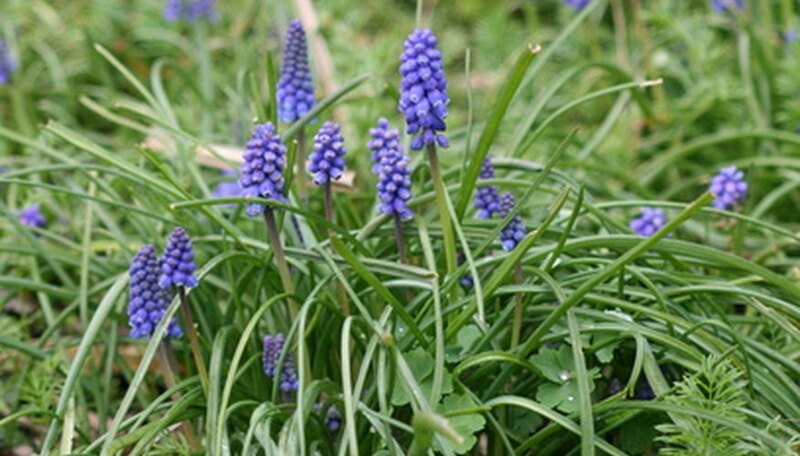 Bulbs include hyacinths, crocus and daffodil. Perennial shade plants include astilbe, columbine, coral bells, daylily, Virginia bluebells, forget-me-nots and cardinal flower. Groundcovers help retain soil on slopes, tumble over rocks for interest and soften edges in designed beds. Move beyond ivy and consider other options, such as lungwort, periwinkle (also known as vinca minor,) ajuga, lily-of-the-valley, pachysandra, wild violets and ginger. Decide where you would like to install the shade sail for maximum sun protection; remember that the sun will move throughout the day, so choose the position accordingly. Mark out the perimeter of the area by inserting four small marking flags where you will later install the steel posts, two on each side of the pool. Measure the distance between the length and width of the marking flags. This will be the approximate size of sail that you will need to purchase. Check to see if the shade sail kit comes with steel posts, or if you must purchase them separately. Dig a 4-foot-deep hole in each spot that you marked with a flag. Add pre-mixed cement to a bucket, and add water according to the manufacturer's instructions. Fill each hole with cement and install a 100-by-100-mm steel post in each hole. Stabilize each steel post until the cement is completely dry by tying it with rope to the side of the pool, deck or a heavy object. Install the brackets and hooks that came with the shade sail according to the manufacturer's installation instructions. Lay the shade sail flat on the ground and attach a hook to each corner. Hook each corner onto the installed steel posts and adjust the tension of the shade sail according to the manufacturer’s instructions. Stand the three 8-foot wooden poles up so they are leaning together in a teepee shape. Keep all three pole bases on the ground and the tops even with each other. Wrap heavy duty wire around the top four to six times. Loop the wire under the poles as well as around the top. Twist the ends together to secure the wire. Spread the legs out the rest of the way so they are set firmly on the ground. Move the shade structure over the plants you are shading. Staple screen mesh material to two sides of the pyramid with a staple gun. Keep the material tight. The use of screen material blocks out part of the sunlight, but will allow the wind to blow through so the structure is not blown over. Trim off the excess screening material with a sharp knife so the edges are neat looking. Although lychee are often thought to require full sun, lychee do very well in the shade. Lychees growing under deciduous trees that lose their leaves in winter will benefit from the warmth of the direct sun in winter and benefit from the shelter provided in the summer by a deciduous canopy. However, lychee are very sensitive to cold and will not tolerate temperatures below 25 degrees Fahrenheit. Although similar to the lychee, the longan is easier to grow and less particular about soil and growing conditions. As such, it will grow well in diffuse or shaded areas. Longan are similar to lychee in that they produce small, 1/2- to 3/4-inch round fruits covered by a thick but easily torn skin. Lychee have spiny skins, while longan skins are smooth and bark-like. The tree tomato, or tamarillo, is a tree-based tomato that grows between 10 and 18 feet high. Although they can tolerate a little frost, they do better in areas where frost is not an issue. The tamarillo grows best in the shade when growing in hot, dry conditions. Native to the Andes, they originated in southern latitudes between 5,000 and 10,000 feet. In cooler, northern climates, they grow well at lower elevations when protected from the sun in semi-arid or arid climates. Most hydrangea bushes prefer full sun; in warmer climates, they require afternoon shade to prevent wilting. The plant needs moist, well-drained soil with compost added to it regularly. Pruning should be done in winter or early spring to allow buds to form on new growth. A perennial vine with orange-scarlet flowers with yellow interiors, trumpet honeysuckle (Lonicera sempervirens) grows in either sun or shade. Honeysuckle produces an abundance of flowers from spring through summer. It does not become invasive like Japanese honeysuckle (L. japonica). Honeysuckle attaches itself to its support with twining stems. A tender perennial grown as an annual, firecracker vine (Mina lobata, Ipomoea lobata) is a flowering vine that twines around its lattice support. 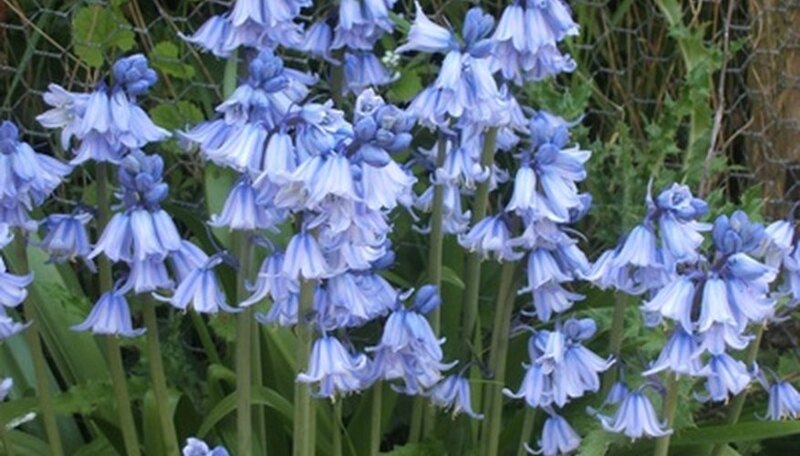 It grows to a height of 10 to 20 feet and prefers partial shade to full sun with rich, well-drained soil. Its unusual flowers begin reddish-orange and fade to orange, yellow and white. Scarify the seeds and soak for 24 hours prior to planting to increase germination rates and success. A tender evergreen vine rapidly growing 10 to 20 feet high, swamp jasmine (Gelsemium rankii) grows equally well in sun or shade. It produces unscented yellow flowers in spring and fall and is hardy in USDA zones 7 and 8. Shade cloth is given a percentage rating, which denotes its level of light penetration. A 100-percent-rated cloth blocks all sun. Select a percentage that's appropriate for the plants you're growing. A 30-percent cloth is appropriate for sun-loving plants. Most vegetables enjoy a 47-percent cloth, while shade-loving plants do well in 73-percent cloth. If you have six hours a day of unobstructed sunlight in midsummer, you can plant any fruit tree. If you have less, but the sunlight is strong or dependable--such as in California--and rarely obscured by clouds, you don/'t need as much sunlight. Winter shade is fine; trees don't need sun then. Light shade, such as on the east side of a wall or shade from tall trees, may reduce fruit yield but the trees will grow well. If you have heavy shade, such as on the east or north side of a wall with overhanging trees, sun-loving fruit trees may not bear at all and may be more prone to diseases. Choose your tree carefully. Apples, pears and plums can take light shade with some loss of yield. Pawpaws grow and bear well in shade, as do a number of bush fruits such as Nanking Cherry and Elderberry. Plant your tree and fertilize yearly with 0-10-10 fertilizer, which promotes flowers, fruit and strong trunks. The chokecherry tree can typically grow up to 25 feet and produces a dark purple to red colored fruit. The fruit is typically used for wine, medical antibiotics and jams. The chokecherry is a hardy tree that will grow in shade conditions and different types of soils but you must water it regularly. It is native to North Dakota. The serviceberry tree is a small tree that grows to only about 20 feet tall. 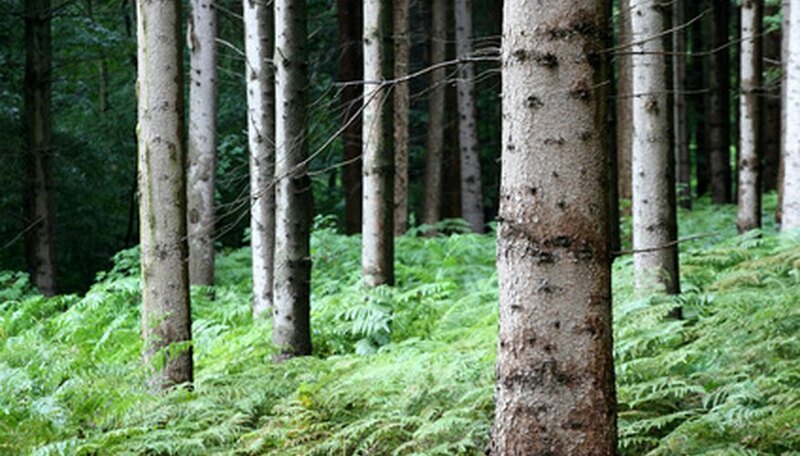 It needs mild to warmer climates to flourish and will typically grow in the understory of forests. The tree produces small white flowers that turn yellow, orange and red in fall. The serviceberry also produces berries, which you may use for jams. This tree is a strong plant that grows in the shade and adapts to limited soil or water conditions. The Chickasaw plum short-stemmed tree that grows to a maximum of 25 feet in height. The tree is commonly found on the banks of streams and thickets in Illinois. This plum tree produces small yellow and red fruit the size of cherries. 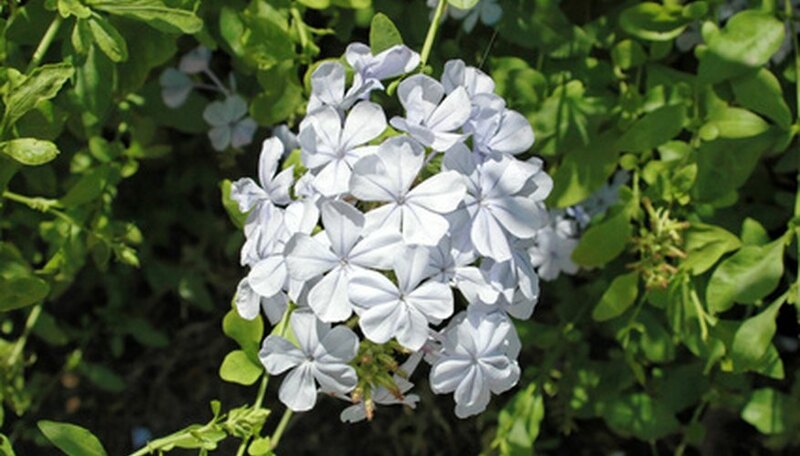 Gardeners use these trees for the large white flowers and attractive foliage as decoration beneath larger trees because of chickasaw's ability to thrive in partial shade. Flower seeds that require partial sun and shade need an area with about four hours of sunlight. Dappled shade under trees with equal amounts of sun and shade is also considered partial shade. The ideal place for partial sun and shade flowers is an area with morning sunlight and afternoon shade. Grown not for its flowers but as a large, beautiful shade tree, the cucumber tree magnolia (Magnolia acuminata) can grow up to 80 feet tall and 40 feet wide. Its fruit aggregates resemble cucumbers, which accounts for its common name. Symmetrical in youth and becoming more open as it matures, cucumber tree magnolia grows best in full sun but will tolerate light shade. Magnolias do best if planted in a location protected from harsh winds. Growing to a height of 45 feet with a 40-foot spread, red maple varieties (Acer rubrum var.) grow into various tree shapes, such as rounded, conical or broad. All varieties have red spring flowers and red or orange-red autumn foliage. Red maples are fast growing and as such, require a lot of moisture, particularly when becoming established. Avoid planting maples in overly alkaline soils. A genera boasting many varieties, cottonwoods (Populus spp.) are large, fast-growing shade trees. They grow between 50 and 80 feet high, depending on the variety. Most cottonwoods have yellow or yellowish-orange fall color. Some varieties are cottonless and most varieties take an upright or columnar growth habit. Common names for vinca minor are myrtle, creeping myrtle, vinca and periwinkle. Vinca minor evergreen plants grow well in partial sun to full-shaded areas. This plant thrives in heat and dry soil conditions. Use caution since it can turn into an invasive ground cover. Plant height can reach up to 6 inches. Summer flowers are white, blue-purple and reddish lavender. According to Aggie Horticulture, impatiens is a popular plant because it grows well in the shade and is heat tolerant. Moist soil helps thriving impatiens to bloom at the beginning of spring until well into the fall months. Impatiens reach a plant height of 6 inches to 2 feet, depending on the variety selected. Fuchsia cascading plants are commonly known as angel earrings. The plant grows 8 inches to 1 foot in height. Small, delicate flowers dangle from the limbs. Gardeners can find fuchsia cascading plants blooming primarily in red. However, hybrid forms provide a variety of colors such as bi-color patterns, pinks and white. This plant thrives in the heat and shade. Fuchsia cascading plants require daily watering as a houseplant and moist soil in the flower garden. Mums prefer well-drained, sunny locations with soil high in organic matter. Provide plenty of water while the plant is blooming to encourage healthy growth and long flowering. Clemson Cooperative Extension recommends applying water-soluble fertilizer once per week to keep chrysanthemums healthy. While chrysanthemums will grow in partial shade, the reduced sunlight encourages leggy plants with weaker stems. These plants are prone to collapse under stress. They also tend to bloom later in the fall, producing fewer, smaller flowers than mums grown in full sun. Mature plants set in shady areas may produce good quality flowers the first year, but tend to do poorly in following years. Plant chrysanthemums where street lights or dusk to dawn lights will not illuminate them after dark. 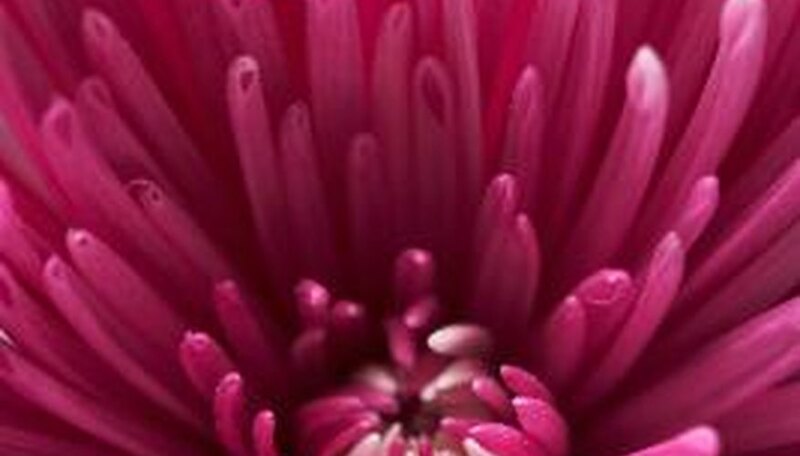 According to the Iowa State University Extension, lighting mums at night tends to inhibit flower formation. Plants grown where nights are completely dark produce more flowers and bloom more readily than plants grown with some nighttime light exposure. While it's possible to plant chrysanthemums both in early spring and in fall, spring plantings produce the healthiest, most hardy plants in autumn. Allowing mums to establish themselves over the course of the summer increases their chances of winter survival. Pinch the growing tips of the plants during the spring to encourage healthy growth and reduce the risk of legginess. Plant trees. Consider varieties like the maple, oak, hickory and elm, which when mature, will create towering, shady areas in a garden. Plant the American Elm, long a top-choice among shady trees, now in a disease-free variety. Include the Sourwood in your landscape for great summer shade and white fuzzy flowers and great color in the fall, and a generally low-maintenance tree. Add a pergola, arbor or loggia to an area that is inadequate to support a large tree. Extend your outdoor living space and gain some shade at the same time by having a pergola built onto your home. Incorporate these types of structures for immediate impact. Cast some shade with climbing vines and shrubs. Incorporate climbing hydrangea, Boston or English ivy or even Virginia creeper for shade and interest. Consider planting small-to-medium size shrubs like variegated dogwood or holly. Create an arching canopy by planting pagoda dogwood, witch hazel or Japanese maple. Growing to a height of 50 feet, the Norway maple 'Fairview' (Acer plantanoides 'Fairview') grows just 30 feet wide and is ideal as an urban street tree. Its new growth emerges a deep reddish-purple and matures to bronze-red. It is tolerant of poor soils and harsh urban conditions. Fairview produces surface roots that make it difficult to grow shrubs or lawn beneath it. Slow-growing to a mature size of 50 feet high by 25 feet wide, northern catalpa (Catalpa speciosa) is a native American shade tree. It produces white, orchid-like flowers early in summer and bean-like seed pods that may remain on the tree throughout winter. Northern catalpa is usually the last type of tree to leaf out in spring. It does usually show fall color, its leaves abruptly falling after the first hard frost. Northern catalpa grows best in full sun and prefers moist, slightly alkaline soil. Roughly columnar at its mature size of 55 feet high by 40 feet wide, narrowleaf cottonwood (Populus angustifolia) is found primarily at higher elevations in the southern Rocky Mountains. Its narrow leaves can resemble those of the willow and turn yellow in autumn. The leaf stalks are sometimes tinged red. Its bark is smooth and pale green or whitish on young specimens and gray on mature trees. Use grass that is appropriate for shady conditions, such as tall fescue. Grass that needs plenty of sun will become weak and start to die in the shade, especially during the winter months. Plant trees and shrubs that are short so they don't block the sun. Small hedges and deciduous trees work well. The sun will shine through deciduous trees in the winter. Choose varieties that are resistant to strong winds. Many north-facing locations get a lot of wind from the northwest. 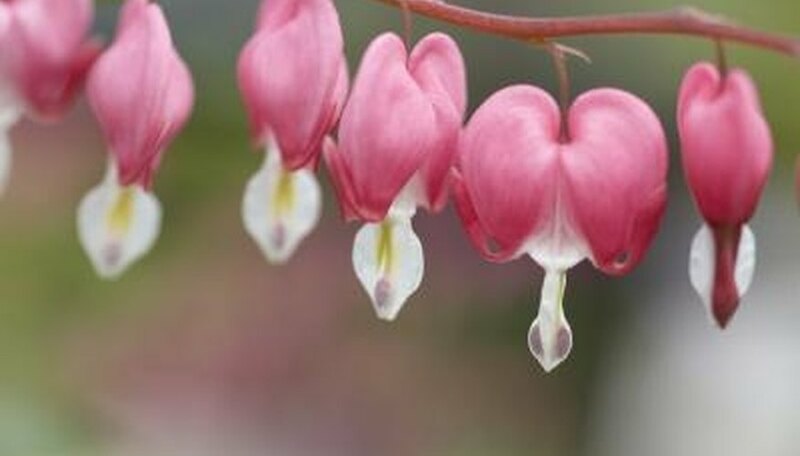 Grow perennial and annual shade-loving flowers, including columbine, coral bells, bleeding hearts and hostas. Periwinkle and lily-of-the valley are shade-loving ground-cover options. Choose structures that don't block the sun. This isn't the type of garden for large trellises, gazebos or sun-blocking statues. Use benches, small statues or picnic tables instead. Make a tranquil sitting area that can be enjoyed in the summer months when the south-facing yard is too hot. Nun orchid (Phaius tankervilliae) is a spring-blooming flowering plant that boasts tall, waxy stalks topped with brownish red blooms. Native to tropical Asia and Australia, nun orchid is one of the easier orchid species to care for. The plant prefers light shade or a mix of shade and sunlight. Nun Orchid does best in humus-rich, moist soil. Though the plant will tolerate drought, it won't produce exceptional blooms unless watered regularly. A member of the lily family, the hosta (Hosta spp.) is one of the most well-known shade plants. Grown primarily for its luscious, thick foliage, hostas thrive in partial or full shade. There are many cultivars of hosta available, with leaves ranging from solid deep green to stripes of creamy yellow and bright green. Native to China, Korea and Japan, hosta plants do best in soil that is fertile, neutral and consistently moist. Native to tropical West Africa, bleeding heart (Clerodendrum thomsoniae) is a loose evergreen shrub that produces unusual heart-shaped flowers that are a deep pink and creamy white. Reaching a height of about 3 feet, the plant is a popular ornamental that can also be grown in a container. Bleeding hearts like a little bit of morning sunlight, but they need good shade for the rest of the day. The plant will flourish in humid areas with moist, well-drained soil. The forsythia gained its name from a Scottish horticulturist, William Forsyth, who lived during the 18th century. This deciduous shrub came from China, Korea and Europe. This fast-growing shrub reaches a height of between 8 and 9 feet. It thrives in full sun where it produces an abundance of flowers. Forsythia can grow in partial shade, but it won't flower profusely like it does in full sun. Before purchasing a forsythia, check with the USDA Plant Hardiness Zone Map to see if it thrives in your location. Many cultivars exist, but not all of them share the same cold hardiness. If you live in the colder Northern regions with temperatures reaching down to -30 degrees Fahrenheit, the cultivar Meadowlark can survive in your landscape. How Big Do Dogwood Trees Get? Do Impatiens Like Sun or Shade? 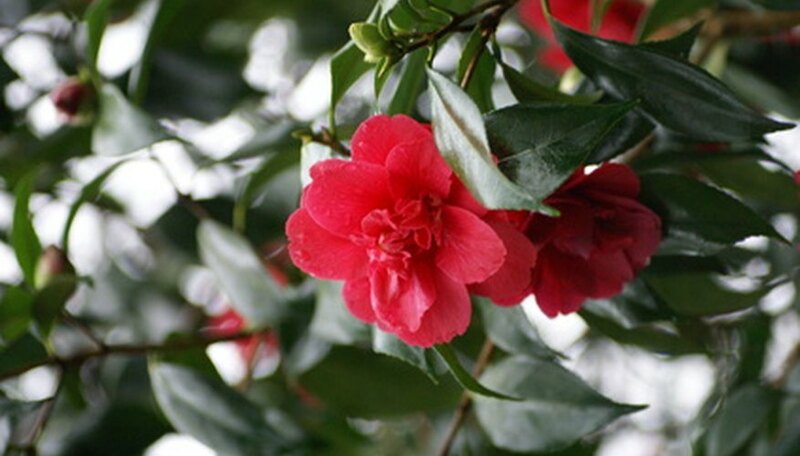 What Grows Well With Azaleas? How Do I Save My Tomato Plants From the Heat?